Garden Plot was a narrow strip of land running alongside the western side of Stone Lane, just north of the junction with Mudford Road. This area is actually a detached part of the parish of Preston Plucknett, known as Preston in Stone, and the Preston Plucknett Tithe Map of 1849 shows Garden Plot as Parcel 150. It was bounded on the west by Long Croft (Parcel 149) and on the east by Stone Lane. 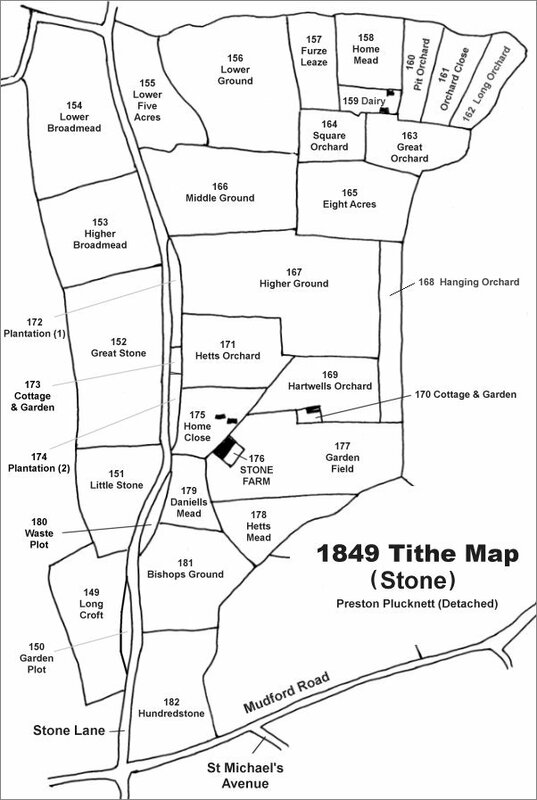 The Preston Plucknett Tithe Apportionment of 1848 didn't bother to record Garden Plot as a separate entity but it was included as "Inclosed from the Waste". Today Garden Plot has disappeared, absorbed by the straightening and widening of Stone Lane during the early 1950s with a portion being absorbed into Long Croft. 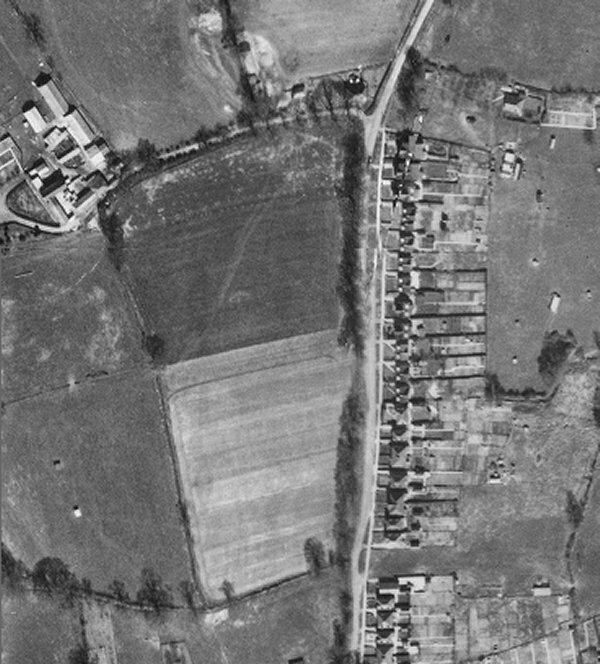 The 1946 aerial photograph showing Long Croft at centre and Garden Plot showing as the lower dark stripe of trees between the lower part of Long Croft and Stone Lane. Straightening and widening of Stone Lane shortly after this photograph meant the end of Garden Plot although one or two large trees at the northern end are probable remnants of today.